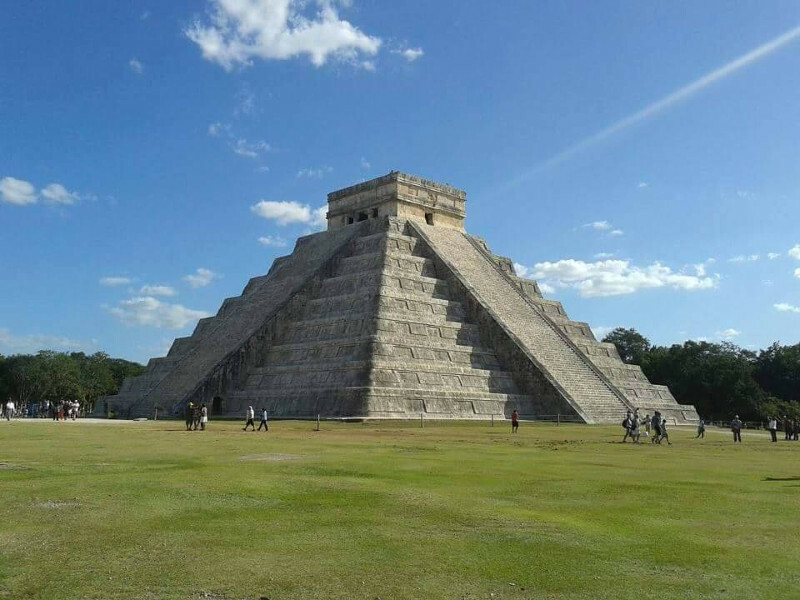 Here a pic in chichen itza. The line that seems like come out from the building was done for an airplane r?serv? ?? Hello Radames! Interesting pyramide. Fine colours. Original shot. See You my workshop, please. Well done! This a clear with warm color and good looking. Nice balance of light and shadow, well detailed and composed.The people in your image give us an idea of the height of the pyrimid structure. APOLOGIES IN Advance, testing broken critique replies.